Sixers forward Jimmy Butler walks down the court during free-throw attempts by the Sacramento Kings in the second quarter of a game at the Wells Fargo Center on March 15. ATLANTA – The 76ers are the NBA’s most exciting team. They’re the league’s second biggest draw – home and away – with an average game attendance of 19,137, which is only 101 fewer people, on average, who flock to see the two-time NBA defending champion Golden State Warriors. Rookie general manager Elton Brand should get strong consideration for NBA executive of the year after the team’s blockbuster in-season trades for Jimmy Butler and Tobias Harris. From a competitive standpoint, life is good over at 3 Banner Way … at least for now. While reaching the conference championship is an expectation, next season is when the Sixers are expected to contend for the franchise’s fourth NBA title and first since 1983. Right now, folks are excited about Butler, Harris, Joel Embiid, JJ Redick, and Ben Simmons being the league’s second-best starting lineup behind the Warriors. However, Embiid and Simmons are the only two starters under contract past this season. Butler is very important to the Sixers’ success, both offensively and defensively. Not only does he excel on both sides of the ball, the swingman has a knack for making big plays down the stretch. Harris is capable of playing both forward positions. He’s also an elite three-point shooter and finisher around the basket. The team is hard to beat when the 26-year-old gets off to solid starts. Redick, however, might be the team’s key piece when it comes to stretching the floor. He’s been regarded as one of the league’s top three-pointers for some time. The constant mover without the ball always has to be accounted for. That’s why the Sixers plan to keep the core group intact no matter the price. They’ll most likely have to sign Butler and Harris to five-year max contracts this summer to make that possible. Harris is in the final year of his contract. He’ll become an unrestricted free agent on July 1. Butler will opt out of the final year — 2019-20 — of his contract this summer to also become an unrestricted free agent. 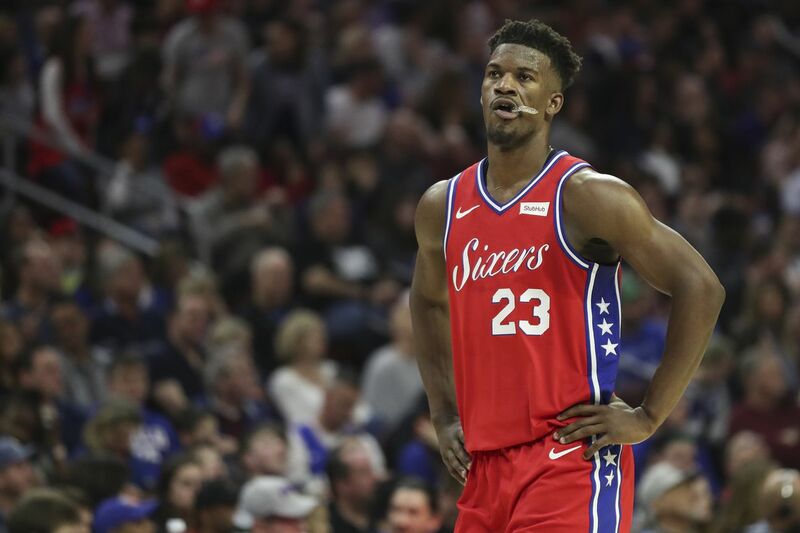 Philadelphia gave up two valued starters in Robert Covington and Dario Saric, along with Jerryd Bayless and 2022 second-round picks to acquire Butler and Justin Patton from the Minnesota Timberwolves on Nov. 12. The Sixers willingly did that knowing Butler’s negative reputation at his stops in Chicago and Minnesota. If he leaves, the Sixers gave Minnesota Covington, Saric and a second-round pick for a seven-month rental. The Sixers could have used Bayless’ $8.6 million expiring contract to help secure a player who would have stayed past this season. In order to get Harris, Boban Marjanovic, and Mike Scott from the Los Angeles Clippers on Feb. 7, the Sixers gave up Landry Shamet, Wilson Chandler, and Mike Muscala and four draft picks — including a protected 2020 first-rounder and the unprotected 2021 Miami Heat first-rounder. But it’s understandable to see why the Sixers traded for Harris and Butler, who will be two of the most sought-after players in free agency. This summer, they’ll be one of 13 squads that will be able to offer max contracts. Two other teams — the Orlando Magic and Phoenix Suns — should be at least close to max-level money to tender offers. Harris and Butler will be signing max deals. It’s just a matter of if it’s going to be in Philly or not. It will be a no-brainer to offer Harris a five-year maximum. But some might argue against giving one to Butler. In addition to being 29, he hasn’t always seen eye to eye with Brown and has an injury history. But there’s really no one out there that will be available who is as good as Butler, who had four straight NBA All-Star selections before this season. All-Star point guards Kyrie Irving and Kemba Walkers will be two other maximum-salary free agents. There’s been talk of Irving re-signing with the Boston Celtics or going to the New York Knicks. The ball-dominant Walker is expected to re-sign with the Charlotte Hornets. One can argue that the Sixers’ chances to get Leonard became slimmer after they failed to acquire him in a trade from the San Antonio Spurs this past summer. The Spurs ended up trading him to the Toronto Raptors in July. The thought now is that he’ll either remain in Toronto or sign as a free-agent with one of his hometown teams, the Los Angeles Lakers or Clippers. There’s a lot of talk about Durant heading to New York to play for the Knicks or Brooklyn Nets or remaining in Golden State. The Sixers could try to go after Milwaukee Bucks All-Star swingman Khris Middleton, who will become a free agent. However, he’s expected to re-sign with the Bucks. Plus, he’s not quite on Butler’s level. But he’ll receive a max-deal from a team having a lot of money and not as many options. Butler would fit in well with the Los Angeles Lakers, playing along side LeBron James. The Lakers are in desperate need of someone of Butler’s caliber, and that would enable him to be close to his Southern California home. Meanwhile, Brooklyn could be a solid option for Harris, if he opts to turn down the Sixers’ deal. That would be a homecoming for the Long Island native. The Nets and Knicks would be solid landing spots for Redick, as well, who’s permanent residence is in Brooklyn. He has a place in Philadelphia for when he can’t get home, but his wife and children live in the New York borough.